Large Mirror Box 40 x 60 – Kit includes (4) panels that are 40” x 60”. Our large mirror box kit offers customers the perfect way to pack different sized mirrors, framed pictures, or glass panels. The kit comes with four 40” x 60” adjustable panel boxes that will fit the shape of certain mirrors and other similar objects. 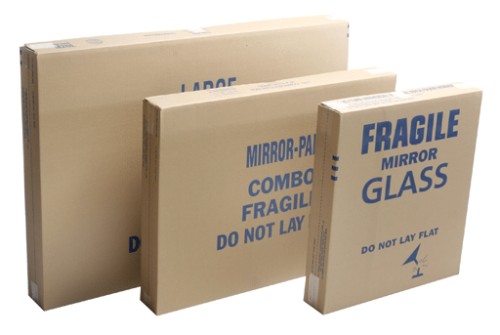 Mirrors can be difficult to pack safely because of their shape and the glass that they contain. If you pack a mirror so that it is lying flat on top of items in a regular box, it can still slide around or get lodged between your objects and the box wall, where it is more likely to break. 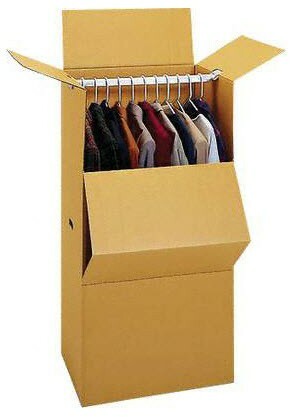 By using our mirror boxes, your mirror will be concisely contained in a box built from sturdy cardboard. 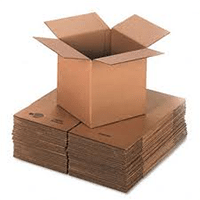 Regardless of how slowly and safely either you or our certified movers drive the moving vehicle to your new location, items are still going to get jostled around, leaving your mirrors, picture frames, and similar objects more vulnerable, but if you pack such items in any of our designated mirror boxes, you can rest assured that your possessions will stay in tact. We recommend the large mirror box kit to anyone who has at least one fairly large hand mirror or several framed photos. The kit is available for an affordable price that makes it easy to purchase more than one should you have a lot of picture frames that you want to ensure safe packing.